Konkuk University President Kim Jin Q has been appointed president of Pacific States University in Los Angeles, an affiliate of South Korea’s Konkuk University. The inauguration ceremony took place last Friday on the Wilshire campus of the university in Korea Town in Los Angeles. The Pacific States University, founded in 1928 as an independent private institution, specializes in the fields of business, economics and accounting. Konkuk University has engaged in the school management of the PSU since 1988. Konkuk University plans to foster student and faculty exchanges with the PSU and promote PSU as one of the major universities in California with the appointment of the new president. 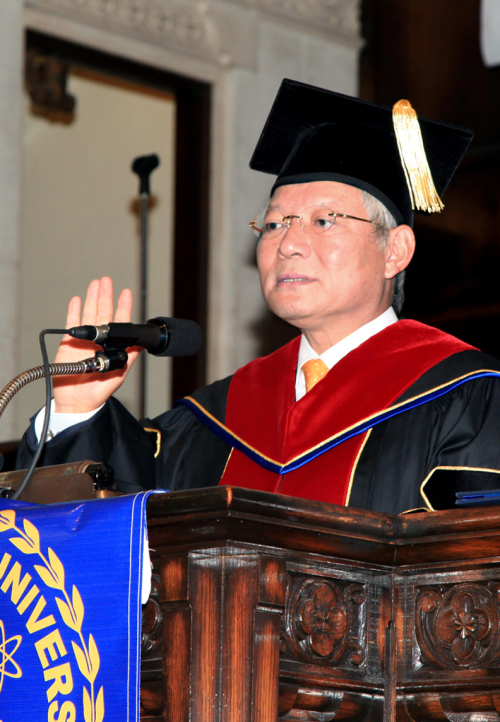 The former professor of the Seoul National University of Medicine became the 18th president of Konkuk University in September 2010.